Children taking part in a workshop on using African animals to tell a story. and both of them had worked together for many years, in many countries including the UK at the Tricycle Theatre in London. Early on in the production process Bheki had to drop out because he was engaged to work elsewhere. So Ellis went in search of a new partner, and we were all really lucky when he found a young actor called Sdumo Mtshali. They performed together, bringing Impisi to audiences in Southern Africa. Sdumo went on to win the first season of the SABC (South African Broadcasting Co) reality competition Class Act, and as the winner he went to New York to work. Impisi is a play about disability, self image and the friendship told through the characters of African wild animals. The next outing for Impisi was in a primary school in Devon in the UK. I was contacted and asked to help launch a production of Impisi that would involve two year groups – years 5 and 6. So I had to rework the script to allow us to use twenty five children! The story is about a young male lion who is about to take over the pride until he gets his leg caught in a snare. He gets free, but his leg is permanently damaged and his future seems bleak. He is tormented by other animals including meerkats, warthogs and his life-long enemy the hyena. But the hyena turns out to be his saviour, forcing the lion out of his depths of self pity. The play ends with the lion tackling the biggest, meanest animal he can, the buffalo! I decided that I would increase the number of hyena in the script from one to four so the actors could share that large part, I would have small herds of animals instead of just one or two, and the meerkat group grew from two to six. I also introduced elements of dance so that children who were not confident in speaking could still play an important role, and we created a band who would ‘play’ instruments made out of kitchen items such as graters, pepper mills, salt shakers and jars of dry beans. They created the sounds of Africa beautifully. All of the actors were on stage at all times, and they came to the front of the stage to perform before moving back to line the stage. It was a really great production which was very different in appearance to the original, but it was effective in teaching the audience and actors the lessons we were wanting to teach – a person’s self image impacts on others’ impressions of that person; friendship is vital for a healthy, fulfilled life; people who are ‘different’ are still people; name calling and staring at people is not a good thing! I have reworked Impisi twice since then but that is a story for another day. Is disability art just for disabled people? When I originally wrote my play Impisi my intention was for it to be performed by actors – both professional and amateur, both disabled and not – and for audiences made up of the general public. 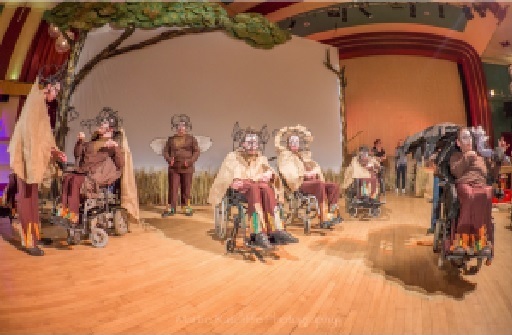 The play encourages us to look at some of the issues around disability while being entertained at the same time. 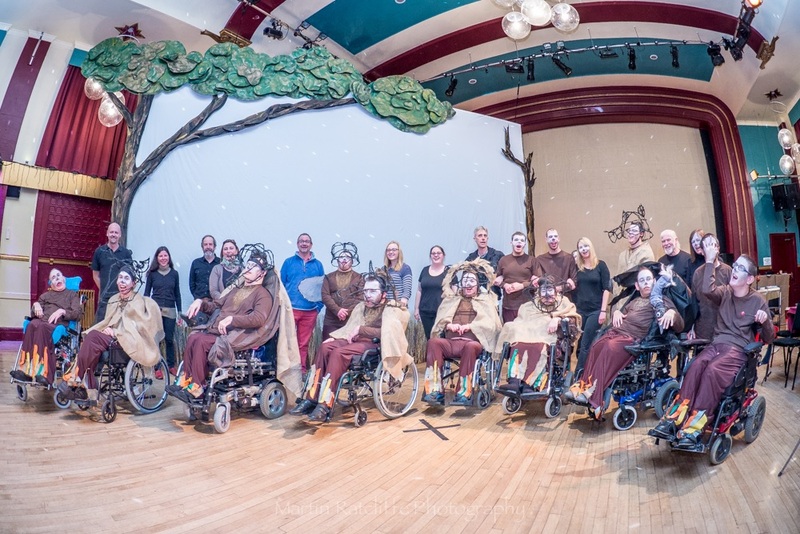 But I have found that most interest in performing the play has come from organisations for disabled people. Is this preaching to the converted? If so does it matter? If a play has a message, or a number of messages contained within its script, should it not be performed by and to people who may learn from the messages, rather than those who are familiar with them? So the impact on actors has been proven, but I really would like to see Impisi performed widely to public audiences. Please take a look at the website or contact me to find out more – email: clive@impisiproductions.com or phone: 078042215006. The cast and crew of CEDA's production of Impisi. Being a writer is a hard business. But it is only the start of being a writer who produces work that is read, seen or heard. To achieve that a writer now needs to be a social media expert or a public speaker; a workshop leader; a teacher or a marketer; a director or an actor; and those things can be hard. The actual writing is what brings us to writing; the creative process of forming words into something that has meaning, impact and purpose. We can rewrite, polish, edit and improve our work, and when we feel it is ready to be seen in the light of day we can get someone else to read it and that can be painful. It is exposing and dangerous. When my play Impisi was first performed in South Africa I was lucky enough to be there, I was very nervous – what had the actors and the director done to my precious work? But most concerning was had they kept the emotions and feelings behind my writing true to what I was trying to say? These were the things that I felt about living with a disability, living ‘successfully’ as a person with a disability in an able-bodied world. How my experiences and attitudes had formed me, and how other people’s attitudes to me had impacted on me. • “it’s all about friendship isn’t it”. • “there was lots in that play, I need to go and think about it, but it was excellent”. When I returned to the UK I was hoping to be able to get the two actors – Ellis Pearson and Sdumo Mtshali – over here to tour the play. I spent ages writing a bid and I got to the final selection for an Arts Council grant but fell at the last hurdle. Then life took over and I put the play on the back-burner and got on with earning a living. But now Impisi has taken on a life of its own – I have directed it in schools, been involved in a big production by a local charity for people with disabilities, and worked in many different ways on work inspired by the play. I have had to learn all of the skills I mentioned above to make something significant from the play. But I would still love to see it tour schools. 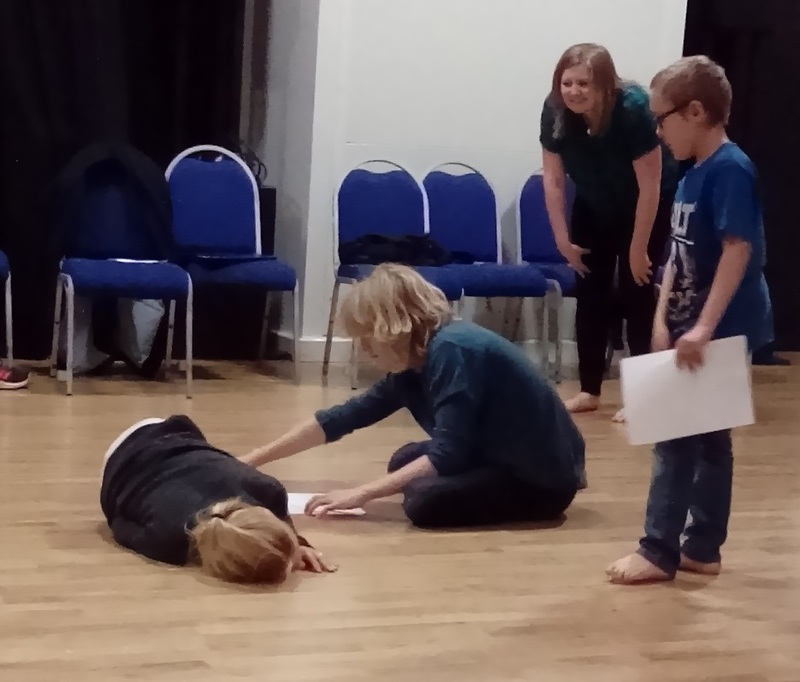 In its original form Impisi is a two-hander, it requires no expensive staging or props and runs to about 45 minutes in length; ideal for primary and secondary schools as it fits in so well with the National Curriculum. To find out more do get in touch – clive@impisiproductions.com or 07804215006. The best place to write a play! There can be few places that can be better to write a play script than on the beach in Durban, South Africa! Having been so impressed by the work of South African actor/writer Ellis Pearson, and made a plan to tell the story I wanted to tell about disability and ‘difference’, I went home. I raised enough money from commercial sponsorship through a family member to return to South Africa, and write the play. I was writing with Ellis, who has no direct experience of disability, and he was really interested in what I wanted to say in the play. We talked for two days about my life, experiences and insights into disability. He asked searching questions: what frustrates me; do I get angry; do I feel sorry for myself; how does how I feel about myself influence other peoples’ attitudes to me. Ellis then went and talked in private to my wife. He wanted to know how life was for her living with a man with a disability. I still do not know what she said! We then set-to with the writing – sitting under a sun shade outside a cafe on the Durban beach with the Indian Ocean surf breaking on the sand. We spent three weeks talking and writing. Every now and again Ellis would jump up and ‘become’ an African animal. He was amazing! We created characters that fitted what we wanted to say, and that were true to the animals we used. We researched the behaviour of young male lions and hyena and then, with the script almost complete we flew home. Six months later Ellis was in the UK and we finished the script. Then Ellis went home to work on bringing the play to the ‘stage’. We then flew back to South Africa for the National Arts Festival in Grahamstown. 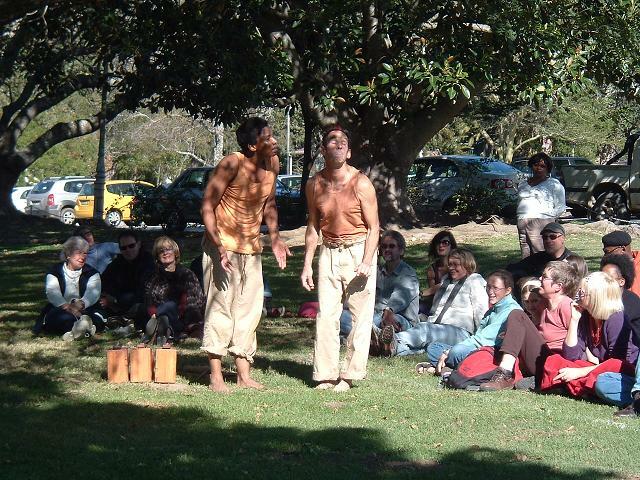 I watched nine performances of our play, Impisi, staged under a tree in a park. It was brilliant! Since then Impisi which means hyena in isiZulu, has been performed in schools in kwaZuluNatal, in festivals in Swaziland and Pietermaritzburg, at Durban University, and I have been involved in the production and direction of performances in schools and centres for adults with disabilities. It has led to me working with University students in the UK and putting on an exhibition of Impisi-related art in a regional art gallery. The script of Impisi is available to purchase online here. It is very adaptable, having been written as a two-hander but been performed by twenty five children! I am looking for drama companies – both professional and amateur – schools and organisations that work with people with disabilities/impairments – to put the play on as a way of informing people, from Primary school age upwards, about some of the issues around disability while entertaining audiences at the same time. Writer Clive Essame, creates innovative theatre inspired by the sounds and sights of the African bush. People of all ages ask me why I have written two plays; Impisi is about disability and Mbali is about mental ill-health; using African wild animals as the main characters – good question! It all started in South Africa a few years ago when I was taken to see a performance by two amazing actors in a school hall in front of over 100 young pupils. They were telling the story of poor people who were displaced by wealthy property developers after the tsunami of 2004 – the main character was an elephant. He was played by actor/writer Ellis Pearson performing without costume or mask; he portrayed his character through movement, sound and facial expression alone. Other parts were played by Bheki Mkwane in the same theatrical style – known as 'poor theatre' where costume, props and scenery are minimal and lots is left to the imagination. I loved this way of working and saw how I could say what I wanted to say in a really effective way. I met with Ellis and we came up with a plan; and out of that plan came my first play - Impisi - which means hyena in the isiZulu language of South Africa. Impisi is a play that addresses important issues around prejudice, bullying, disability and difference, delivering a powerful message of acceptance. 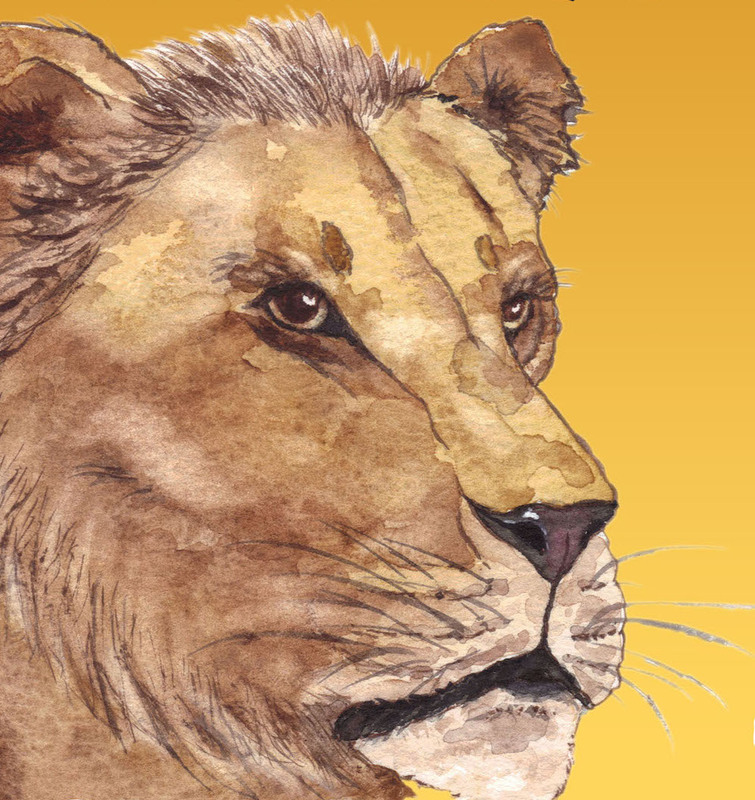 The story is about Nkosi, the young male lion, who is about to take over the pride when he is caught in a wire snare. He escapes but is permanently disabled. His situation leads him to forge an unlikely friendship with the hyena Impisi, and he learns how to overcome the pits of despair and loss of physical ability in order to flourish and fulfil his potential. This is a moving journey of self-discovery and hope, which touches the hearts and minds of children and adults alike. Impisi allows us to see through animals’ eyes in order to better understand the challenges and issues that disability, different ethnicity, bullying and discrimination bring about. It also helps us learn about how people who could be considered ‘different’ react and respond to the world. The animals in Impisi are chosen carefully. Nkosi the lion is considered the King of the beasts and he fell from the top to the bottom; the image of the hyena is of an ugly, deformed scavenger while the truth is that they are very intelligent, effective hunters with a complex society; the ostrich can’t do the one thing that surely defines birds – flying. Impisi is easy to perform and very adaptable depending on your cast size, age, budget and venue. Please visit www.impisiproductions.com to find out more.